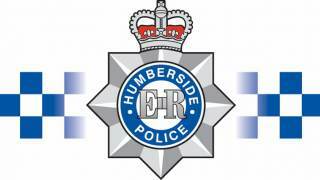 This week, a man was investigated by Humberside Police Force for sharing a poem that denied transgender ideology. Carys Moseley looks into the impact that this investigation could have on society, calling it the lastest example of policing ‘thoughtcrime’. This sinister story can’t just be dismissed as a mere waste of police time. The poem was not aimed at anybody in particular. Thus its author and sender could not be charged with harassment or malicious communication. To be sure it was not a ‘nice’ poem, but it was telling some factual truths. The shocking reality of the situation is that here we have the latest example of the police hunting down a citizen on suspicion of having committed a ‘thoughtcrime’. So far so good, but more needs to be said. The police were not just attacking freedom of expression here; they were attacking the freedom – and the duty – to tell the truth and not to lie. They were upholding the nonsense of transgender ideology and punishing someone for insisting on the truth that we are all biologically male or female. The concept of transphobic hate speech forces people to lie and deceive. This goes against everybody’s duty to tell the truth according to his or her conscience – in other words it is a violation to the right to freedom of conscience as recognised by Article 18 of the Universal Declaration of Human Rights and Article 9 of the European Convention on Human Rights. The truth is that this story is precisely all about a situation that has been allowed to prevail whereby the police do control people’s expressed thoughts. The logic is clear – the police must be allowed to intervene to prevent random individuals from feeling distressed at people expressing a dislike of all things transgender. Given that transgenderism is one of the most unpopular topics in society, despite – or perhaps even because of – the veritable avalanche of transgender propaganda that has descended on mainstream media in the last few years, this means the police effectively has to investigate most citizens of the United Kingdom. This for stating that men can’t be women and women can’t be men. The extraordinary thing is that there has been no real dissent from within the police forces themselves. This in itself speaks volumes and does nothing to add to the already variable levels of public trust in the police. Therefore we must look to the Home Office, which oversees the police, to address the problem. However the Home Office as a government department is knee-deep in all this given that it comes from legislation passed in Parliament. Given this mixture of viciousness and cowardice, a more long-term approach is required. For the factual accuracy of journalism, and thus the reputation of journalism as a profession, and even the freedom and impartiality of the press, are at stake here. Not to mention the calibre of candidates allowed to stand for political parties in elections. What we have is nothing short of a crisis of standards in public life. Incidents like this have become an irritating part of the news in recent years, and cast a chill on people’s freedom to tell the truth about one of the most basic aspects of our humanity. Society – and this includes the civil service as well as political parties, the legal profession, the NHS and the criminal justice system - simply cannot and should not continue indulging the mentality and pseudo-philosophy that has allowed this descent into a culture of compulsory lying. One recent casualty of this culture is the case of Dr David Mackereth, who had to leave his job because he refused to use preferred pronouns to refer to benefit claimants in his work for the Department of Work and Pensions. This culture of compulsory lying needs to be overturned and defeated. The political power to do this lies with Parliament, for it passed the hate crime amendments to criminal statutes. There must be a concerted effort to roll back on the concept of hate speech in the criminal law because it is leading to thought policing, forced lying, waste of police time and a culture Iwhere innocent people are being suspected of pre-criminal behaviour. Overturning the tyranny of transphobic hate speech in the law and society will be a huge cultural and political fight in the United Kingdom, but this is absolutely necessary in order to restore confidence in public institutions and standards in public life, as well as fundamental freedoms for the entire population.